A time-tested classic, Northwood Manufacturing debuted the Arctic Fox 811 in 2005, and has been a steady seller ever since. The listed dry weight on Northwood’s website is only 2,873 pounds, but don’t let that figure fool you. Including the company’s mandatory Fox Package, which weighs an extra 595 pounds, the dry weight of the Arctic Fox 811 is actually a hefty 3,468 pounds, putting this beast at 4,500 pounds fully loaded and probably more. The excessive weight makes sense because the Arctic Fox 811 is built like a tank. The camper features a strong, full walk-on cathedral arched ceiling, 2-inch thick heavily insulated walls, a massive basement, a 20,000 BTU propane fired furnace, two huge 30-pound propane tanks, a 6-gallon DSI water heater, a 45-amp Progressive Dynamics converter/charger with a three-stage Charge Wizard, and a huge, two-way 7-cubic foot refrigerator. Not only is the camper’s floor length generous, at a full 9 feet, but it also has some of the largest holding tanks in this class with 50 gallons fresh, 38 gallons grey, and 23 gallons black. Even the cabover height is generous at nearly 4 feet. The best options for the Arctic Fox 811 include Torklift’sexcellent Fox Landing Step, thermal pane windows, and a 170 watt solar power system. Built for short-bed, one-ton trucks and a consistent seller, but due to its weight should probably be mounted on a DRW truck. The MSRP of the Arctic Fox 811 is $29,216, making it the best value when it comes to both quality and cost. 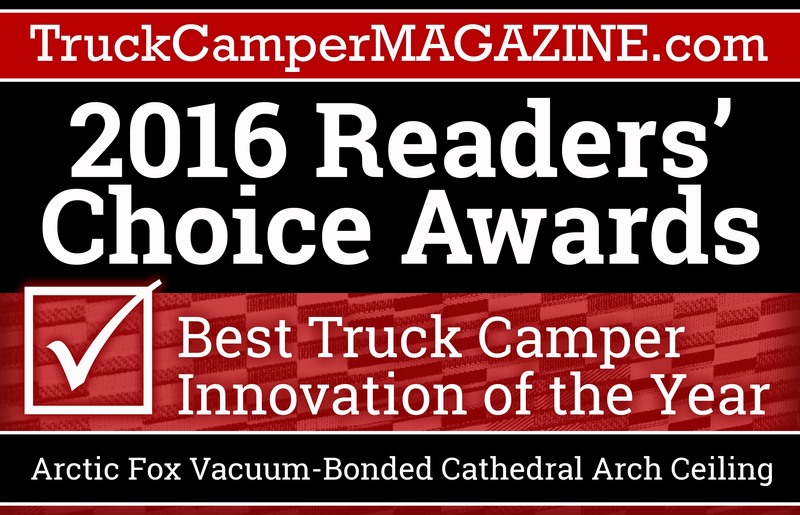 Truck Camper Magazine reviews a long bed 2019 Arctic Fox 865, a hard side, non-slide, wet bath truck camper with a cathedral arch ceiling. After being off-menu for five years, is the non-slide Arctic Fox still competitive? In 2009, Northwood Manufacturing offered us the opportunity to take out an Arctic Fox truck camper for a long-term evaluation. 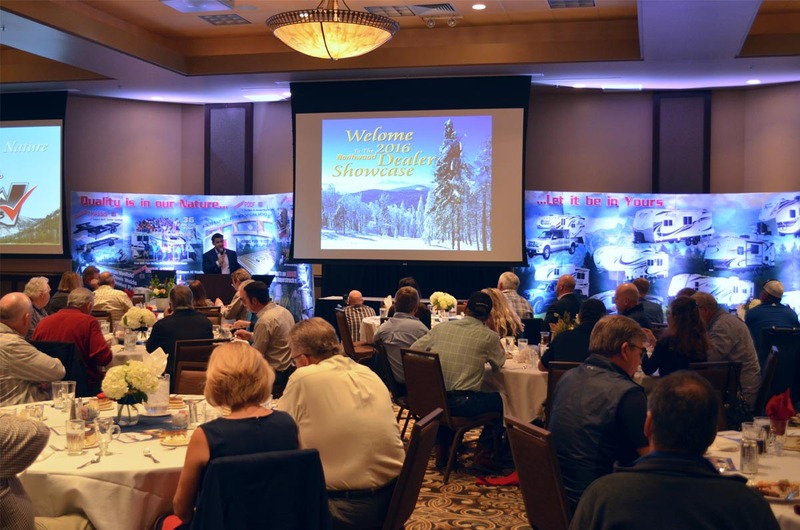 When they asked us which model we would prefer, we asked for the long bed version of the non-slide Arctic Fox 865.
innovations as well as celebrating their 25th year of being in business. Click here to see the entire press release! New Videos: NW Owners Manual! Take a look at our new Owner’s Manual Videos! Take a Quick Tour of the new Arctic Fox 27-5L Fifth Wheel Travel Trailer! Take a Quick Tour of the new Arctic Fox 865 Truck Camper! Take a Quick Tour of the new Nash 29S Travel Trailer! Take a Quick Tour of the new Arctic Fox 25Y Travel Trailer! Take a Quick Tour of the new Arctic Fox 1140 Truck Camper! Take a Quick Tour of the new Nash 23D Travel Trailer! When Dennis Lynton saw an article in TCM featuring a truck camper on a big rig, he made a phone call, bought a Volvo 670 semi, borrowed a plasma cutter, and got to work. Take a Quick Tour of the new Desert Fox 27FS Toy Hauler! Take a Quick Tour of the new Arctic Fox 29-5T Fifth Wheel! Take a Quick Tour of the new Arctic Fox 992 Truck Camper! Take a Quick Tour of the new Nash 24M Travel Trailer! 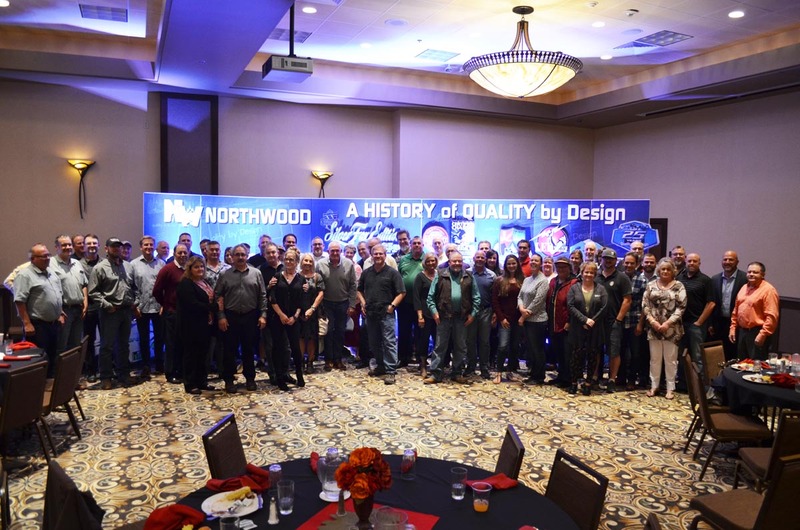 Northwood Manufacturing is excited to announce the launch of their latest online sales tool – NW3D Tours. These tours provide cutting-edge 3D and virtual reality models to be used by dealers and customers alike as a primary medium for experiencing and sharing Northwood floorplans and features. The NW3D Tour utilizes an all-in-one reality capture system that gives the viewer realistic, interactive 3D and virtual reality experiences that make you feel like you are in the coach. Click Here to Read the Entire Press Release! Click Here to See the 3D Tours! Take a Quick Tour of the new Arctic Fox 990 Truck Camper! Take a Quick Tour of the new Arctic Fox 32A Travel Trailer! Take a Quick Tour of the new Nash 17K Travel Trailer! Take a Quick Tour of the new Desert Fox 24AS Toy Hauler Travel Trailer! Take a Quick Tour of the new Desert Fox 21SW Toy Hauler Travel Trailer! Take a Quick Tour of the new Arctic Silver Fox 29L Travel Trailer! Take a Quick Tour of the new Arctic Silver Fox 27-5L Fifth Wheel Travel Trailer! Take a Quick Tour of the new Nash 26N Travel Trailer! Take a Quick Tour of the new Arctic Fox 811 Truck Camper! Take a Quick Tour of the new Fox Mountain 255RKS Fifth Wheel! Take a Quick Tour of the new Arctic Fox Classic 25R Travel Trailer! Take a Quick Tour of the new Arctic Silver Fox 28F Travel Trailer! Take a Quick Tour of the new Arctic Fox Classic 25W Travel Trailer! Take a Quick Tour of the new Fox Mountain 235RLS Fifth Wheel Travel Trailer! This is the story of how a 2004 Freightliner M2-106 and a 2014 Arctic Fox 1150 were assembled into one of the most impressive truck and camper combinations on the planet. Truck Camper Innovation of the Year! Click here to view the entire press release! Take a Quick Tour of the new Arctic Silver Fox 32-5M Fifth Wheel! Take a Quick Tour of the new Arctic Fox 24J Travel Trailer! Take a Quick Tour of the new Nash 22H Travel Trailer! Take a Quick Tour of the new Arctic Silver Fox 29-5T Fifth Wheel! Take a Quick Tour of the new Wolf Creek Camper 840! Take a Quick Tour of the new Arctic Fox Camper 996! Take a Quick Tour of the new Nash Travel Trailer 25C! Take a Quick Tour of the new Arctic Silver Fox 27-5L Fifth Wheel! Take a Quick Tour of the new Wolf Creek Truck Camper 850! Take a Quick Tour of the new Nash Travel Trailer 24M! Take a Quick Tour of the new Arctic Fox Travel Trailer 25W! Take a Quick Tour of the new Arctic Fox Travel Trailer 25R! Take a Quick Tour of the new Arctic Silver Fox Travel Trailer 32A! Take a Quick Tour of the new Arctic Silver Fox Fifth Wheel 35-5Z! Take a Quick Tour of the new Arctic Silver Fox Travel Trailer 29L! Take a Quick Tour of the new Arctic Fox Truck Camper 990! Take a Quick Tour of the new Arctic Fox Truck Camper 811! Take a Quick Tour of the new Arctic Fox Classic 22G! Take a Quick Tour of the new Arctic Fox 5th Wheel 29-5K! Take a Quick Tour of the new Desert Fox 21SW Toy Hauler! Take a Look at the new 36 on the roof of an Arctic Fox Truck Camper video! Take a Quick Tour of the new Fox Mountain 335BHS 5th Wheel Travel Trailer! Take a Quick Tour of the new Snow River 288BHS Travel Trailer! Take a Quick Tour of the new Nash 25C Travel Trailer! Take a Quick Tour of the new Nash 23B Travel Trailer! Check out our new Video! Over 200 Reasons to own an Arctic Fox Camper. Take a Quick Tour of the new Arctic Fox 25R Travel Trailer!